brick&mobile specializes in providing the most robust, full-service mobile marketing reseller programs available today. Powering thousands of premium mobile website resellers around the world, brick&mobile’s proven Mobile CMS delivers cost-effective, great-looking mobile websites that are easy to use and a cinch to update. By integrating a complete suite of turn-key services such as text message marketing, QR codes and advanced location analytics reporting, brick&mobile is the only mobile reseller partner you need. 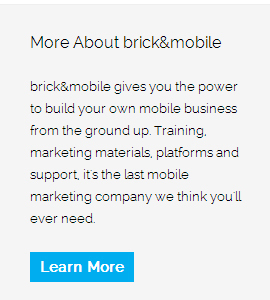 brick&mobile is dedicated to helping resellers build their own mobile marketing businesses worldwide. 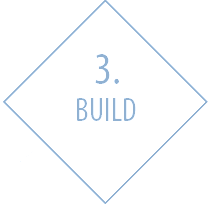 No matter if you’re just getting started or a season veteran, follow one of our many proven business blueprints to get started. 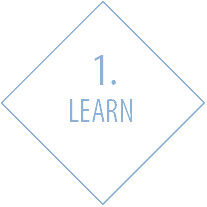 We give you all the marketing materials and sales training to quickly learn the ropes and hit the ground running. 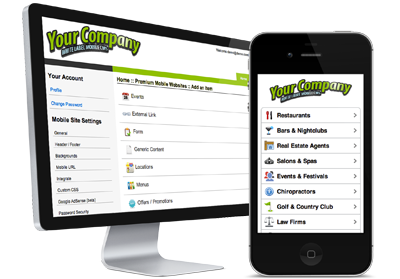 Use the easiest and most powerful mobile website builder and create websites that sell for more. 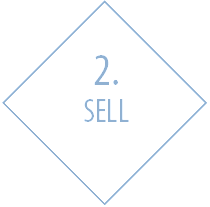 Offer your services and charge for monthly hosting/service fees. 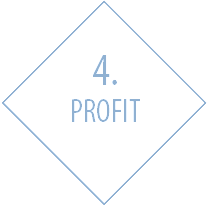 Operate several business models using a single platform.